It is unacceptable that so many schools – previously rated outstanding by education watchdog Ofsted – are exempt from being reinspected, the Public Accounts Committee (PAC) says. PAC says cuts to Ofsted’s budget mean families cannot make informed choices. Ofsted says it is confident inspections offer parents the assurance they need. Ofsted’s chief inspector, Amanda Spielman, said it was maintaining “excellent levels of assurance” despite its budget being more than halved. “One might think that a parliamentary committee that was responsible for public money would be pleased that we had put so much effort into staying within our means. It would certainly be the first to roast us if we didn’t,” she said. The committee acknowledges funding issues. “We recognise that Ofsted’s budget has been cut significantly in recent years, and the amount it spent on inspecting the schools sector fell by 52% in real terms between 1999-2000 and 2017-18. The report also criticises the watchdog for incorrectly stating in its annual report for 2016-17 that it had met the statutory target for reinspecting schools every five years, when it had actually failed to do this for 43 schools. Why aren’t all schools inspected? Under legislation, schools that Ofsted has previously rated as outstanding are exempt from routine reinspections – unless the watchdog identifies a particular risk. As at August 2017, 1,620 schools had not been inspected for six years or more, including 296 schools that had not been inspected for 10 years or more. Earlier this year, the National Audit Office warned that Ofsted’s “effectiveness has reduced” as a result of the decision by the Department for Education and the watchdog to end routine inspections for these schools. What does the committee chair say? 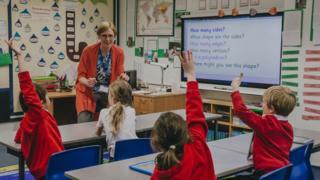 Meg Hillier, the committee’s chairwoman, said: “Cuts to Ofsted’s budget have undermined families’ ability to make informed decisions about schools. Ofsted’s chief inspector Ms Spielman, said: “As with all of the public sector, we have had to do more with less. “However, I remain confident that our inspections provide parents, schools and the government with the assurance they need about school standards and that we do so in a way that compares very favourably in terms of quality and value for money with school inspection regimes internationally,” she told BBC Radio 4’s Today programme. “However, we have reached the limit in terms of being able to provide that level of assurance within our current funding envelope. Ms Spielman added that she would continue to speak out on issues in the sector, such as the dangers of illegal unregistered schools, the risks of radicalisation, the narrowing of the curriculum and the importance of early literacy.